Perfect for multiple applications in both fresh and salt water. Keep one in your vest and tackle bag. 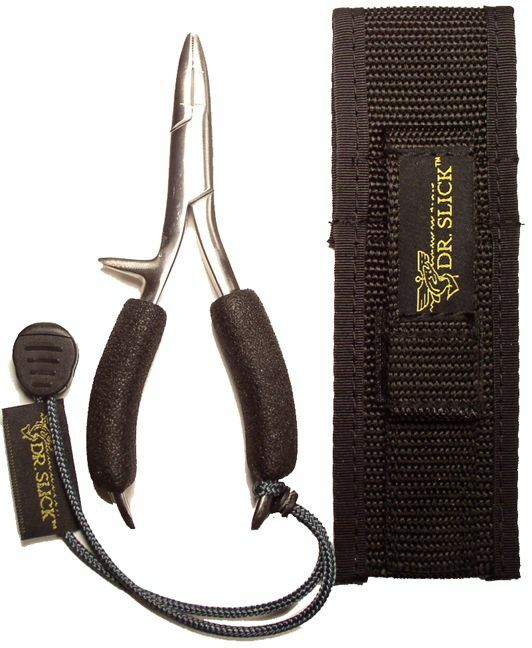 This great all-purpose plier from Dr. Slick is perfect for multiple applications in both fresh and salt water. Keep one in your vest and tackle bag. 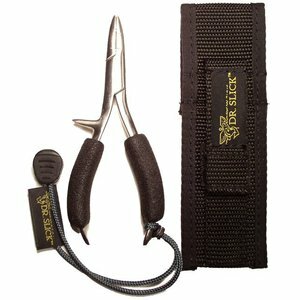 Features a serrated front and a serious cutter. Comes complete with foam grips, lanyard and holster.